Irvine Public Schools Foundation (IPSF), a nonprofit organization focused on enriching the educational experience of each child in every school, hosted 110 golfers at its 2018 Tee It Up for Education Golf Tournament on Monday, May 14 at Strawberry Farms Golf Course in Irvine. 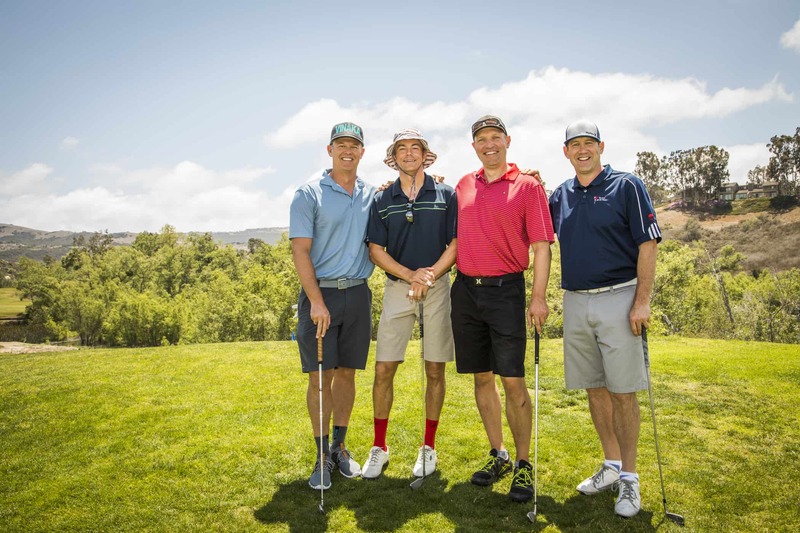 Civic, business, and education leaders throughout Orange County came together to golf and help IPSF raise over $68,000 to support public education initiatives in Irvine, including an emphasis on STEAM (science, technology, engineering, arts and mathematics) programming. The Travis Mathew Ice Cream Truck was on site to serve up fresh and premium apparel for all golfers, Volvo sponsored the hole in one prize, and HoneyBaked provided the boxed lunches for attendees. After the tournament, IPSF hosted a cocktail reception, dinner, and raffle. More than 40 companies and community organizations sponsored the tournament, raising funds to help provide educational excellence for Irvine youth. 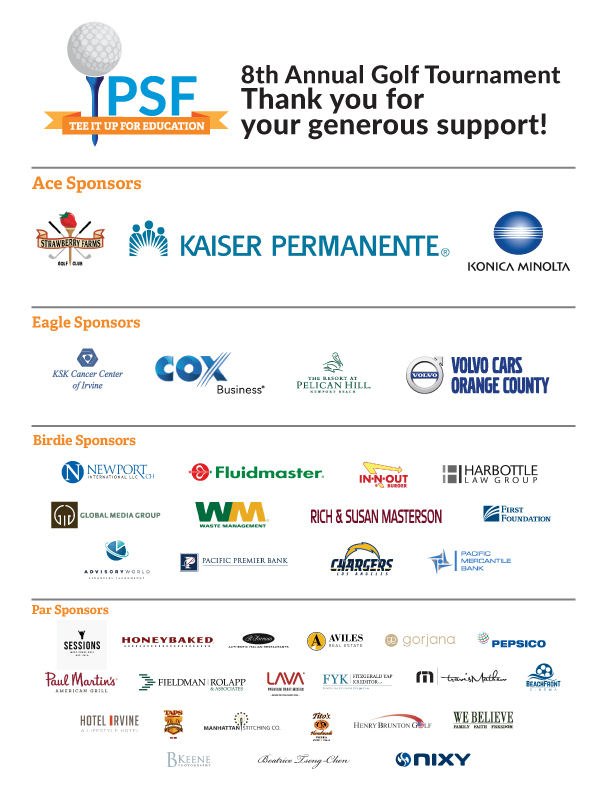 IPSF welcomed an extended list of new and returning sponsors, including $10,000 Ace Sponsors Strawberry Farms Golf Club, Konica Minolta, and Kaiser Permanente, and $5,000 Eagle Sponsors Cox Business, KSK Medical, Volvo Cars of Orange County, and The Resort at Pelican Hill. For a complete list of sponsors, visit https://ipsf.net/wp-content/uploads/2018/05/2018ipsfgolfsponsorsltrhd.pdf. Irvine Unified School District (IUSD) is among the fastest-growing school districts in the U.S. and is also one of the lowest funded, receiving nearly $6,000 less per student in than the nation average. Irvine Public Schools Foundation (IPSF) is an independent nonprofit organization that supports IUSD by raising funds for teachers, staff, and essential programs, providing afterschool and summer courses to enrich education beyond the classroom, and uniting the community in support of educational excellence.